After my first few weeks on Twitter I quickly came to realize that most people are not nearly as interesting as they think they are – my Twitter feed was constantly inundated with tweets describing such mundane topics as my friends’ favorite day of the week and what they had for breakfast. But within this apparent pool of mediocrity I found a few gems – Twitter users who managed to entertain me on a regular basis, and have kept me addicted to my Twhirl client for months on end. Now the time has come to bestow these great Tweeters with the honors they truly deserve. The Shorty Awards, currently the top trending topic on search.twitter.com, is setting out to reward Twitter’s best and brightest with their own awards show. The contest is meant to identify the best Twitter users in over twenty predefined categories ranging from Business to Food, as well as any number of user-submitted custom categories (the site will weed out the ones that don’t get enough participation). 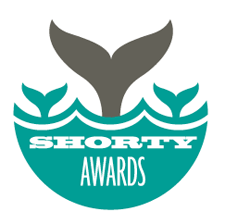 * To nominate someone for a Shorty Award, use form on this site, or send a tweet similar to this: @shortyawards I nominate @someone in category #news because… (but write something of your own). * The text of the tweet is completely up to you. As long as it contains @shortyawards @someone #category you can be as creative with the rest as you like. * You actually have to write something. Just submitting the default tweet doesn’t count. After the initial round of voting, which will last until midnight December 31, the five Tweeters with the most nominations in each category will take part in a final round between January 5th and 14th. An awards ceremony will be held in New York in late January, where the winners of the “most important categories” (the site doesn’t say what qualifies as important) will be able to deliver acceptance speeches in person or via video in 140 characters or less. You can find the complete rules here. The site is a production of Sawhorse Media, which also is behind Musebin and News Groper. Also check out The Twitties, a Twitter awards show that has already concluded. And while you’re at it, be sure to place your final nominations for the Crunchies – voting ends at midnight PST tonight.